A company aiming to revive the historic Hispano Suiza luxury brand has shown an electric luxury grand tourer, named the Carmen, at Geneva. It says the 4.7m-long, two-seat Carmen is aimed at the emerging 'hyperlux' segment, which combines hypercar performance with Bentley levels of luxury. Indeed, the Carmen produces a total of 1005bhp yet weighs just 1690kg, meaning it accelerates from 0-62mph in less than 3.0sec. Its top speed is electronically limited to 155mph. The entirety of the car has been designed and engineered by Barcelona-based QEV Technologies, which conducts research and development into electric vehicles and manages the Mahindra team in Formula E. The company will also undertake building of the Carmen. The model is said to be one of the most "carbonfibre-intense cars in the world"; Hispano Suiza claims its carbonfibre monocoque and subframe engender one of the best-in-market stiffness-to-mass ratios, of 189lb ft/kg, while the body panels and seats are also made from the lightweight material. The Carmen's electric powertrain comprises a 503bhp permanent-magnet synchronous motor on each rear wheel, which are marshalled by a torque vectoring system. Electricity is supplied by an 80kWh lithium ion polymer battery pack, comprised of 700 cells, that stretches in a T-shape down the centre of the car and out behind the seats. This shape is said to increase stability and reduce structural vibration. The powetrain and battery are liquid-cooled by three radiators at the front of the car. Range is claimed at 249 miles, although Hispano Suiza says advances expected next year should allow its battery to become more dense, increasing capacity to 105kWh, and that cars can be easily retrofitted should this prove true. The car supports rapid charging of up to 80kW through a CCS Type 2 plug, as well as Japan's Chademo and China's GB/T. Its DC power limit is 750V. Suspension is by double wishbones, front and rear, complemented by adaptive dampers and active anti-roll bars. Hispano Suiza says the Carmen isn't set up as a racing car, despite its huge performance, rather as a grand tourer with "precise and responsive handling" plus "a refined and comfortable ride". All four brakes are 380x34mm carbon-ceramic discs supplied by AP Racing with six-piston Radi-CAL calipers. They have a regenerative function and are controlled by wire, rather than hydraulics, to save weight and sharpen response. The Carmen is designed to blend aggressiveness with classic elegance, having been inspired by the coachbuilt H6C Dubonnet Xenia of 1938 (pictured below). The Geneva model shows off a clear teardrop profile at the rear, which works into a dramatic rear haunch that includes a cover over the rear wheels. The tail-lights and brake lights are composed of LED rings at the end of a cone that circle reversing lights in the shape of Hispano Suiza's stork logo. Between the two parts are eight 'teeth' for the indicators, which are actually the ends of rods that extend down the cones. At the front, a large, chrome-framed, deep-set trapezoidal grille is flanked by semi-circular headlights, and surrounded by an LED ring that serves as daytime running lights and indicators. The overall design is relatively aerodnyamic – crucial for an electric car – with a drag coefficient of just 0.33Cd. That compares with 0.23 for the Tesla Model S, although Hispano Suiza points out that it's better than supercars including the Porsche 918 Spyder. Underneath, the Carmen has a completely flat floor, a front splitter and rear diffuser to reduce lift. The classic design theme is carried through inside, although again blended with modern technology. Entrance is via partially powered scissor doors. The two carbonfibre-composite seats are heated, four-way electrically adjustable and upholstered in leather and Alacantara. The latter also goes for the doors and rooflining. All is handcrafted and each buyer will be offered a "custom perfumed interior". The dashboard remains traditional, with wood veneers, machined aluminium and toggle switchgear. There's also an analogue clock in its centre that's built by an unspecified Swiss watchmaker and a triangular gear selector that reflects the art deco dashboard of 1930s Hispano Suiza models. The modern touches come from LED ambient lighting strips on the doors and in the footwells, a multifunction steering wheel and, most obviously, a 10.1in touchscreen infotainment system. This features Android Auto, Apple CarPlay, Bluetooth, USB and a seven-speaker premium stereo. Some functions of the car can also be controlled by a smartphone app. On-road testing of the Carmen is scheduled to begin this summer, before production of the 19 examples begins in late 2019. Customer delivieres commence in June 2020. Each car will cost £1.3 million before taxes. 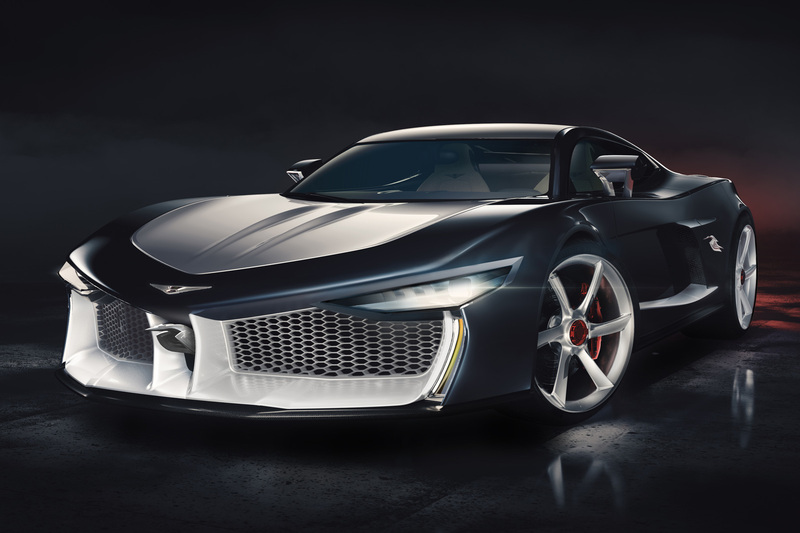 There is controversy at the Geneva motor show, because two unrelated companies using the Hispano Suiza name are present. Hispano Suiza Cars, creator of the Carmen, comes from Grup Peralada, a Spanish conglomerate primarily focused on leisure and culture businesses that is owned by the Suqué Mateu family. It began its journey in July 2018. Head of operations, Miguel Suqué Mateu, is the great-grandson of Damián Mateu, co-founder of the original Hispano Suiza company in 1904, along with Marc Birgikt. Meanwhile, Hispano Suiza Automobilmanufaktur AG is owned by Austrian car designer Erwin Leo Himmel, and announced itself at the 2010 Geneva motor show with the Audi R8 V10-based Grand Tourismo Coupé concept. At this year's show, it unveiled a devlopment of that, the new Maguari HS1 GTC supercar. 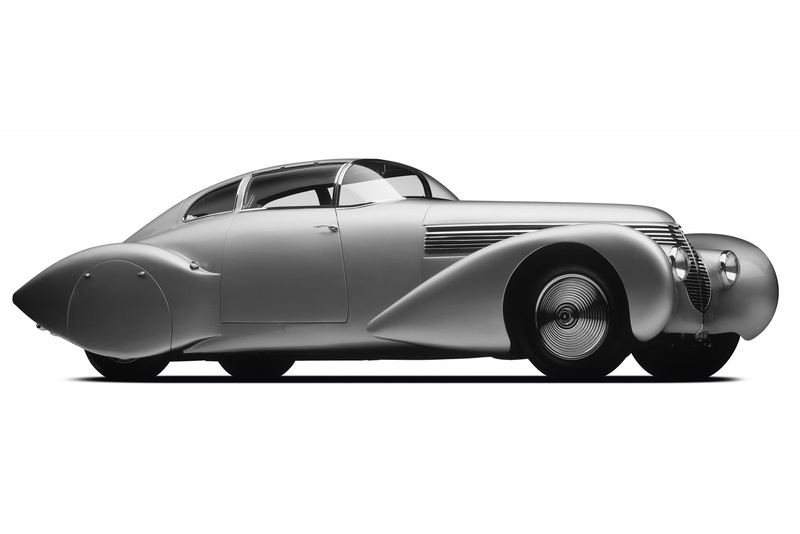 This, like the Carmen, is claimed to blend the classic Hispano Suiza look with modern technology. Its 5.2-litre petrol V10 is boosted by two turbochargers, a supercharger and electric compressors to produce 1071bhp. A 0-62mph time of 2.8sec and an electronically limted top speed of 236mph are claimed. First deliveries of the Maguari HS1 GTC, which is priced from £1.9m, are scheduled for late 2019. Himmel is rather aggrieved at the Mateu project, saying in a statement: "I’m quite surprised that they're advertising the car under our brand name. I got the European rights for Hispano Suiza back in 2010. Meanwhile, I also own the rights in our global key markets. "In a personal talk with Mr Mateu a few years back, he even told me that he has no interest and no knowledge in the automotive industry. "I’m also surprised that they claim to revive their first electric car with the retro car they are going to show. It is true that Marc Birkigt together with the Spanish company La Cuadra created an electric autobus in 1899, with no success. But that was long before Birkigt associated himself with the Mateu family. On another note, the real success for Hispano Suiza in the past came only after the company was established in France." Will be interesting I think.. I just hope they do that great old brand name justice! The jury has pronounced guilty as far as i'm concerned. They have got a bit mixed up. If you are going to produce a modernistic/futuristic car, you would be better off creating a new brand. An old brand with rich heritage does not work when creating something like this. If they are going to do anything and use carbon-fiber of all material, go back to the drawing board - REDESIGN! Beginning to think this Car will be a KitCar, bits n pieces from other brands and have an old Car maker for a name, not original, is it? I never heard of a car Hispani Suiza. This is the first time I heard of them. To use an old name positively, there has to be some connection. Otherwise it just sounds like there is nothing else in the bag. What happens when these hypercar makers run out of names of illustrious defunct car marques? Modern cars are better than their forebears in so many ways, and less good in a few. Grace is certainly an area where the revival of a grand old name would be a perfect opportunity to remember of of the few ways some old cars were more appealing than their successors.